Skull - Labeled, easy to apply, movable, and dry-erasable. 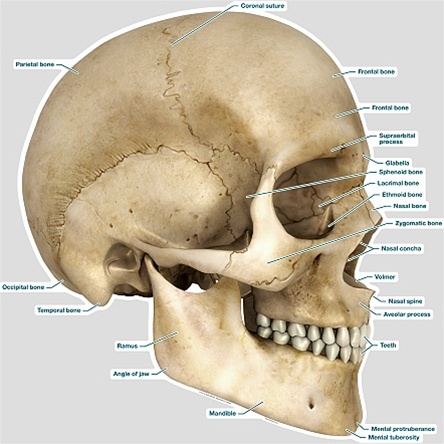 This highly accurate, patient appropriate anatomical image of the skull provides visual explanation of the skull. 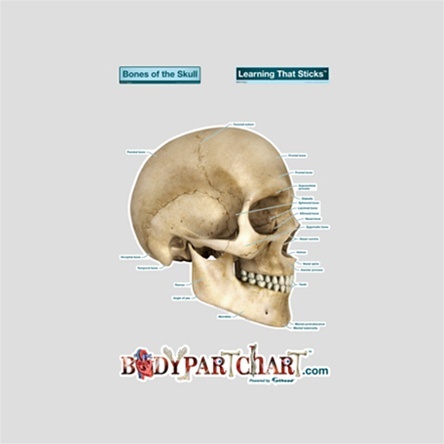 The lateral view of the skull includes the frontal, parietal, occipital, sphenoid, temporal, and ethmoid bones. 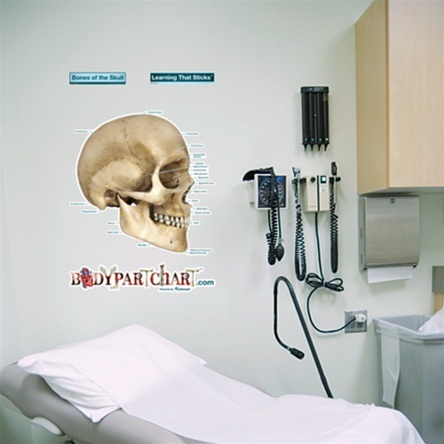 Patients and professionals will benefit from the vivid detail and high definition colors that deliver a three dimensional look and feel compared to an average anatomical chart. Made of high quality vinyl that is durable, reusable and has a self adhesive backing, installation is simplified without all the hassle of tape on an everyday anatomy diagram. Being oversized and free form helps to eliminate confusion and creates an educational environment.